Who doesn’t love chips and salsa? 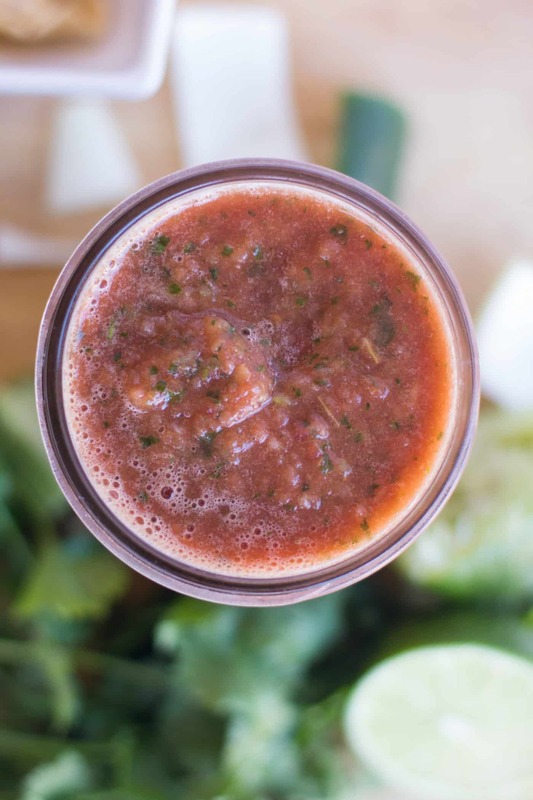 This tomato blender salsa recipe is absolutely delicious and SO easy to make. 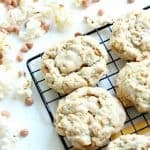 It will be a family favorite! I don’t know if you can earn a PhD in salsa making, but if so, I surely deserve an honorary degree. I’ve come up with the best salsa recipe ever. You may be reading this and saying to yourself, “this cannot be. 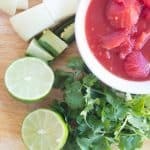 I already have the best salsa recipe in my files!” And if that’s so, I’m going to ask you to try this one and compare. I hope (know?) you’re going to be impressed. 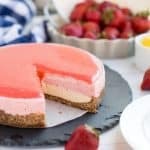 Now if you don’t already have a recipe in your files and want to try this one, of course that is highly encouraged. Because I find grocery store salsa to be really expensive for the amount you get! And if you eat as many chips and salsa as we do, that can add up. No one wants to dig into their retirement fund to pay for their snacks – I know I don’t. This is inexpensive to make. You’ll do a little customizing and tweaking based on my instructions below, but it’s very easy to make . . . and once you find the perfect combination, you’re going to come back to this again and again. 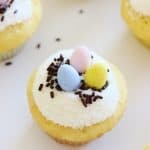 Trust me – it’s going to be a family favorite! 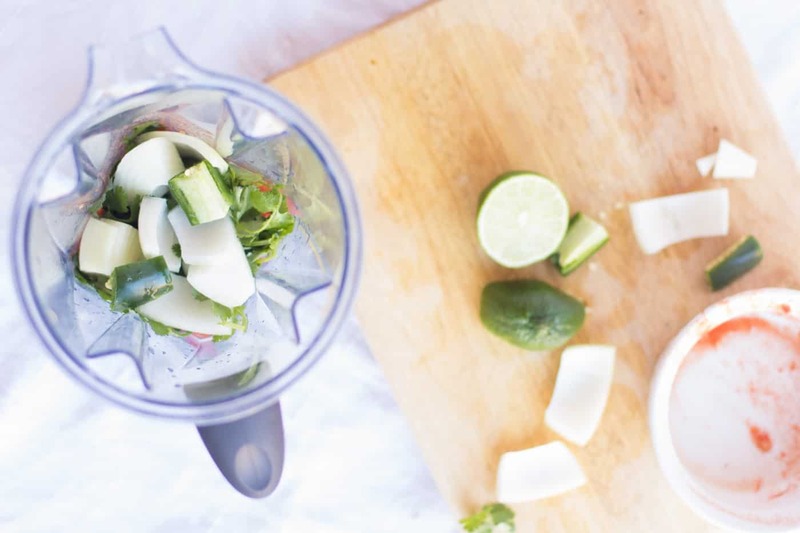 Put all your ingredients into a blender, starting with only ¼ of the onion you chopped and ½ of the jalapeño you cut. Leave the rest on the side for a moment. Pulse the salsa a few times and taste test. Continue adding onion a little at a time until you are satisfied with the onion flavor. 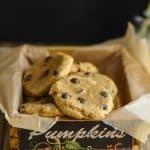 Too much can overpower the entire recipe! Once you are happy with the amount of onion, continue adding jalapeño as desired (if you like a spicier salsa). 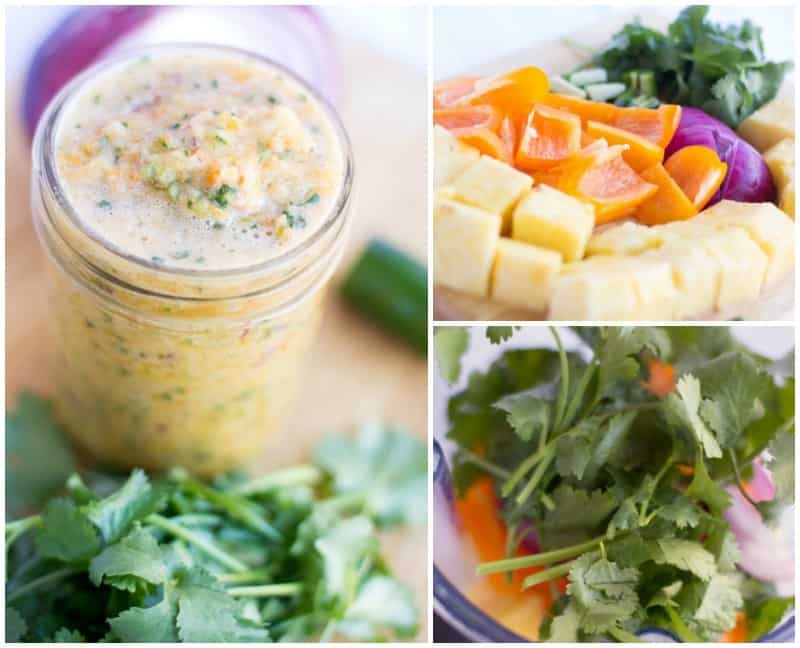 Continue pulsing the blender as you add the ingredients above – too much blending can result in a watered down soup. 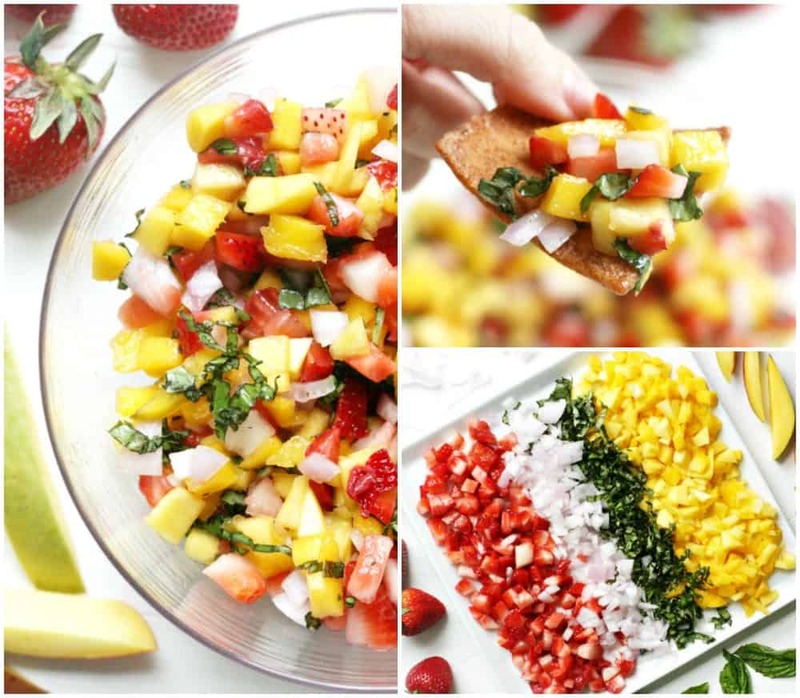 Pour into a bowl or mason jar and dip to your heart’s content! 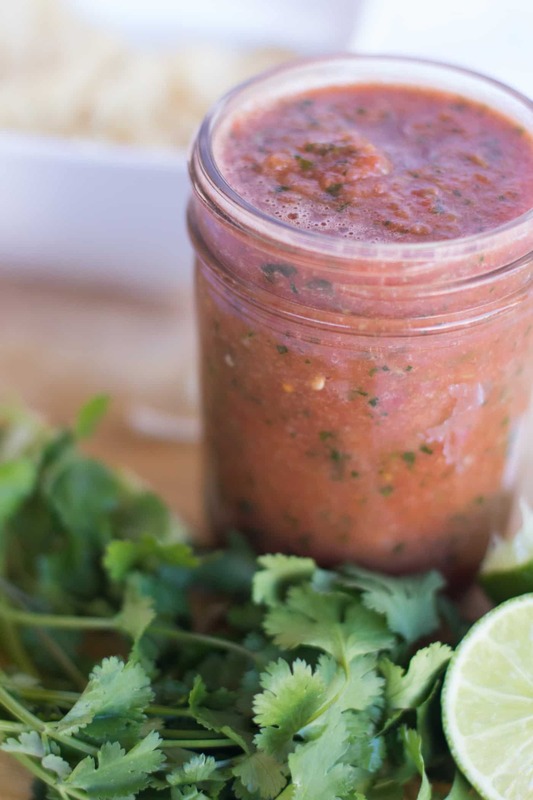 Variation: for a smoky chipotle salsa, add one chipotle and 1 teaspoon of adobo sauce. 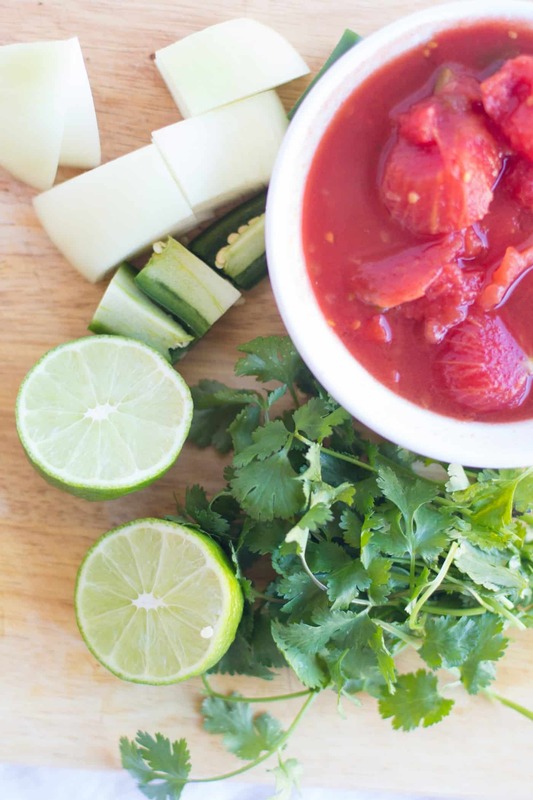 Who doesn't love chips and salsa? 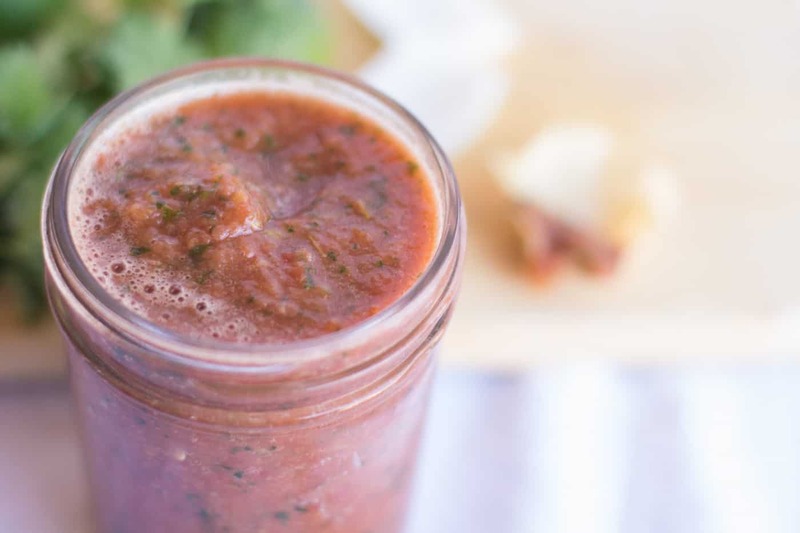 This tomato salsa recipe is absolutely delicious and SO easy to make in the blender. It will be a family favorite! Continue pulsing the blender as you add the ingredients above - too much blending can result in a watered down soup. Pour into a bowl or mason jar and dip to your heart's content! 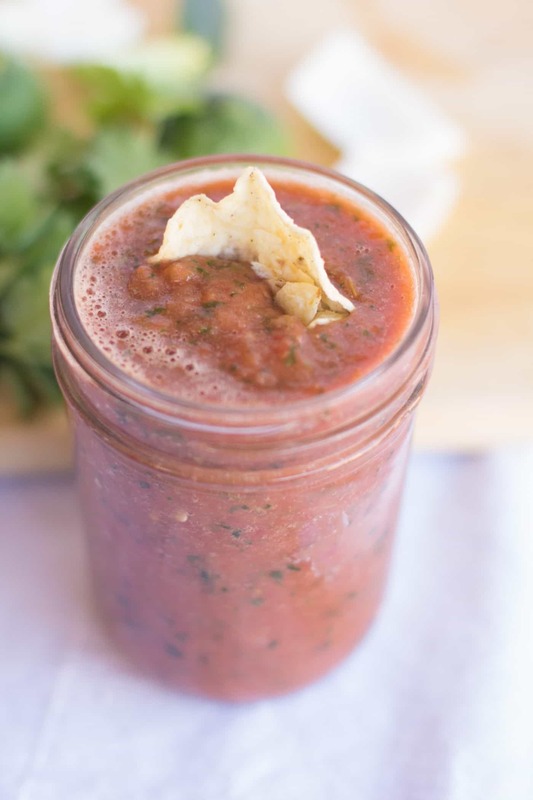 I’d love to know what you think of this blender salsa recipe in the comments!